We typically become close with the people we see the most, and as teenagers evolve in their passions, personalities, and circumstances, their relationships evolve too. This is a tricky thing to navigate for girls and their moms. While I’ve been really proud of the friend choices my daughters have made – and I feel certain that many friends, including old friends from elementary school, will be friends for life – it’s hard to see an old friendship slip away and wonder what ever happened to that cute girl you used to see all the time. Nothing specific happened; it’s just that life is busy, and there isn’t enough time in the day to spend time with everyone you like. Sometimes girls drift apart for a reason. Sometimes a falling out triggers sudden mistrust. A girl who your daughter thought was a friend (in my book I call them 50/50 friends) does something hurtful or mean. Or a group of girls may gang up on one girl because she made the leader mad. The scenarios are endless, and the lesson to be learned is that girls sometimes must learn the hard way what true friendship looks like. The overriding point is, friendships change. Friendships get put to the test, and only time will tell what the final shake-out will be. 1. It’s normal for friendships to evolve and change. It doesn’t mean there’s something wrong with you. It simply means you’re growing up. 2. Everything will be okay. In time your friendships will solidify, and you’ll know more clearly who is good for you and meant to be in your life. Be patient, pray for good friends, and pray to be a good friend. Remember that true friends are worth the wait. 3. Rather than focus on finding the right friends, concentrate on being the right friend. There’s a saying that “Water seeks its own level,” and this means that people are drawn to others who are like them. So when you treat people well, you’ll attract friends who treat you well too. By holding yourself to high standards, becoming the friend you wish to find, and choosing to be an encourager rather than a critic, you set yourself up for positive and long-lasting relationships. 4. Even when you find your “people”, always leave room at the table to invite someone new in. Last Friday night we took my daughter and some friends to a restaurant to celebrate her birthday. A classmate was eating nearby with her family, and we invited her to join us. This girl was a delight, and I fell in love with her. I was thankful to meet her since my daughter had never been in her class or had the same activities. Made with love by a new friend. 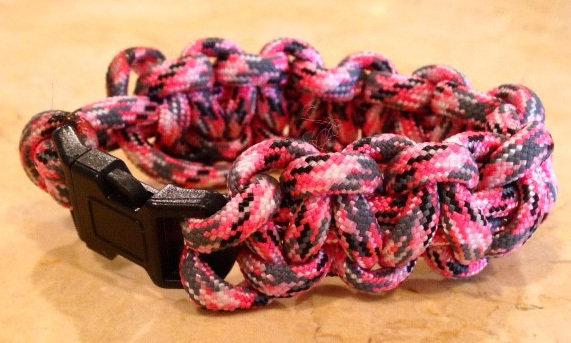 Monday at school, she gave me daughter a friendship bracelet that she’d made as a thank you. I was speechless, because what this girl didn’t realize what was a gift she was to us. This event reminded me of what can happen when you invite someone new to join you, and how many great opportunities we all let pass by when we’re hyper-focused on our friends. One regret I have from high school and college is not reaching out more beyond my circle and letting God open the door to unexpected blessings. Be smarter than me and learn this lesson early. 5. Love your friends well, but keep a loose grip. Give them space to explore new friendships and explore new friendships yourself. The great thing about middle school is that there are so many people to meet. As multiple elementary schools merge, it’s a prime opportunity to make new friends and get to know different people who bring out different sides of you. Stay loyal to your old friends and know who you count on, but keep yourself open to making fun new connections. 6. Remember that everyone is learning and gradually maturing. Just because you don’t click with someone now doesn’t mean you won’t click later. My husband and I met when we were 18. One night at a party, we talked outside for hours. While I liked our conversation, I kept waiting for it to go deeper. It never did, so the story ended there. Five years later when we started dating, I teased him and told him that I assumed he was shallow that night because all he talked about was his fraternity brothers, going out, and having fun. 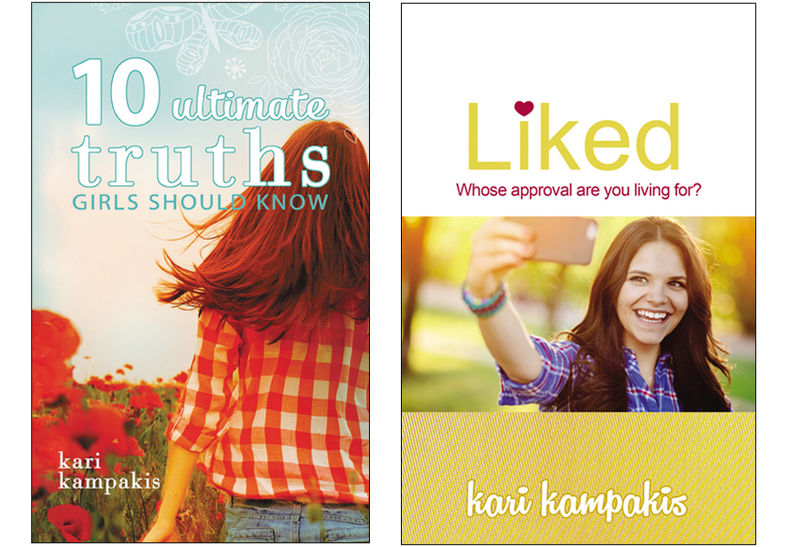 He laughed and replied, “Kari, I was an 18-year-old boy…I probably was shallow!” At age 18 we weren’t ready for each other, but five years later we were. He had grown up, and so had I. The same thing can happen with friendships, so keep a good rapport with everyone, even if you think you have nothing in common. 7. The biggest friendship killers are jealousy, comparison, insecurity, and fear – fear of rejection, fear of being left out, and fear of being alone. Acting on these emotions can turn you into someone you’re not. By being aware of your negative emotions (I’m jealous that my friend is so pretty….I’m freaking out that I wasn’t invited to that party) yet learning the self-control to not act on them (I’ll ask God to help me overcome my jealousy…It’s okay that I wasn’t included because I can make other plans) you’ll join the rare breed of girls who are confident enough in themselves to not make friendship too hard or dramatic. 8. Form your own opinions about people, and don’t believe everything you hear. Just because your friend dislikes someone doesn’t mean you should too. Just because a rumor is flying around doesn’t mean it’s true. Treat everyone like a friend until they give you a good reason not to, and when possible, give people the benefit of the doubt. 9. Know the difference between committed friends and casual friends. Committed friends are the kind you carry through life. They have your back and will stand in your corner even if they’re your last friends standing. Casual friends are the kind you have for a season of life, maybe a few seasons. You have fun together and your personalities click, but there isn’t a great deal of loyalty. Committed friends make up a small portion of your social network. Casual friends make up a large part. 10. Be kind, and keep in mind that kindness is more important than popularity. Can kind girls be popular? Of course! But making popularity your ultimate goal is a bad idea, because you’ll do anything to impress the “right” people, even compromise your values. The better option is make kindness your goal and treat everyone with equal respect, from the custodian of your school to the principal. 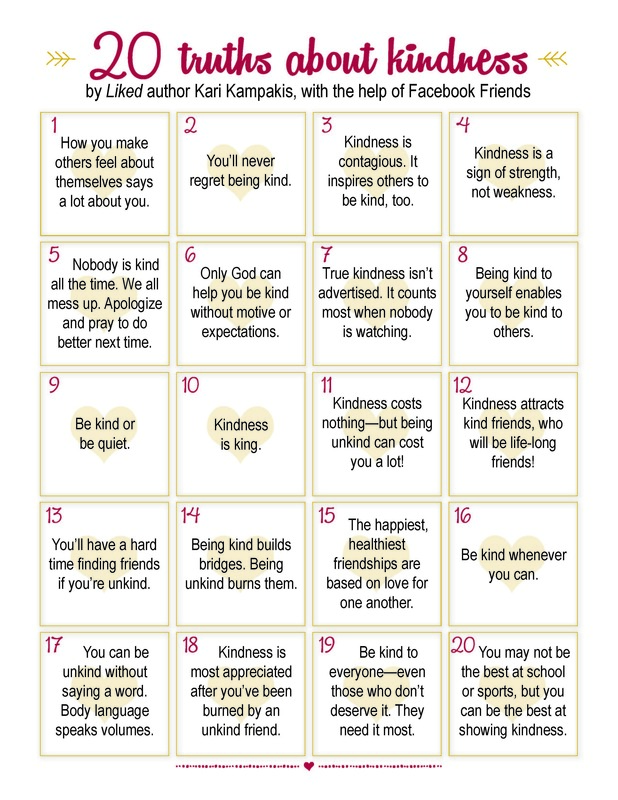 This kindness flyer has some helpful hints, so hang it up in your bedroom or bathroom to keep your head and heart in a good place. Change is hard – but change is also good. Change makes us stretch beyond our comfort zones and grow in new directions. 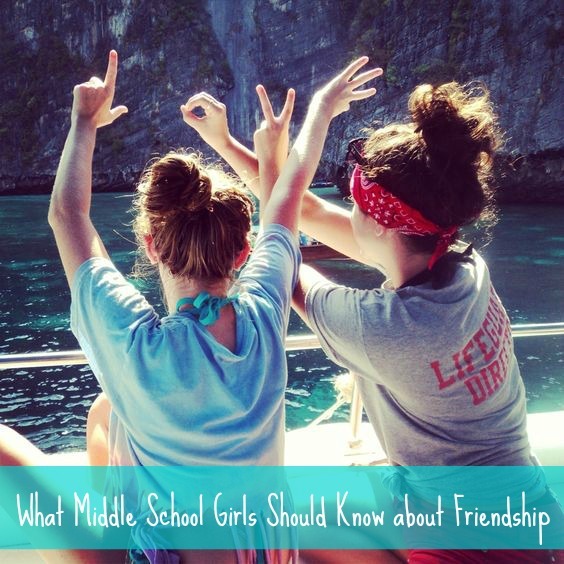 And while the fluid nature of middle school – and trying to keep old friendships while exploring new ones – is an adjustment, it can strengthen your faith if you seek peace in God’s stability when your life seems so uncertain. By embracing change rather than fearing it, and trusting it will all work out, you can keep the right attitude and look forward to what’s ahead as your relationships expand and deepen. Amazing read. Read with each of my kids! Thank you! I read your article and found it to be truthful and to the point. I am a grandfather to a girl that will be 13 in April, 2018 and am very close to this young lady. My wife & I are experiencing all of the changes that pre-teens go thru. Our granddaughter is a competitive accomplished dancer and models for several dancewear companies and is a cheerleader at school. She is a very attractive young lady and has a kind heart and none of her success has changed her attitude toward her growing circle of friends. But, I have talked to her and explained how some people are going to be jealous of her. My wife takes her to school, picks her up after school & takes her to dance practice.so this means my wife knows the granddaughter’s ups & downs first hand. I am going to save your article so I can give my granddaughter feedback on problems I know are going to arise down the road. Hi Kari! We have a mutual great friend, Ginger Beard. I read your first book, and adored it. I have one son and four daughters… one of which is trying to “launch” herself as a speaker for youth (elementary-middle school) on empowering women. She is currently a senior. Would LOVE AND APPRECIATE it if u had time to check her FB twitter insta out and offer us any advice/suggestions on how to reach out to girls. Thanks so much for sharing such beautiful words! Thanks for these tips. I believe that all of this applies to any age, even high school. I know many high school age girls that have gone through difficult times with friends. Also, I think the hardest part about daughters and their friendships is other moms. I have a 17-year old and 10-year old, and I am seeing the same things with the younger one that I did with the older. I will suggest having a variety of friends over so as not to get so tight with just 1 or 2 because if those 1 or 2 leave you behind, you’ve got nobody. But it doesn’t feel like other moms reciprocate at all. It’s very hard for me as a mom to keep an encouraging tone and not feel like something is wrong with my daughter or myself. Both of my daughters have been left out of birthday or pool parties or play dates even though we’ve been very inclusive. It’s very discouraging even though I try so hard to keep a postive attitude. The positive note that keeps me going is that my older daughter has navigated good and bad friendships very well in spite of me! I am a junior high counselor and shared this on facebook. It is such a great article and is so relevant to junior high students. I deal with this almost on a daily basis at school. Thank you! !